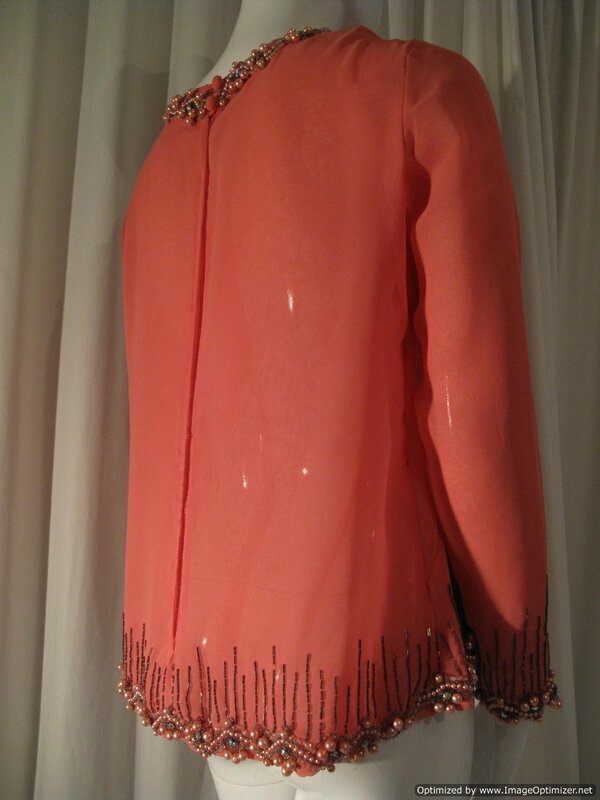 1960's Heavily beaded georgette vintage evening blouse. Lovely persimmon /burnt apricot colour georgette. It has high neck with long sleeves and is hip length. Cut to fall straight from the shoulders at the back to create the classic 60's shift silhouette. 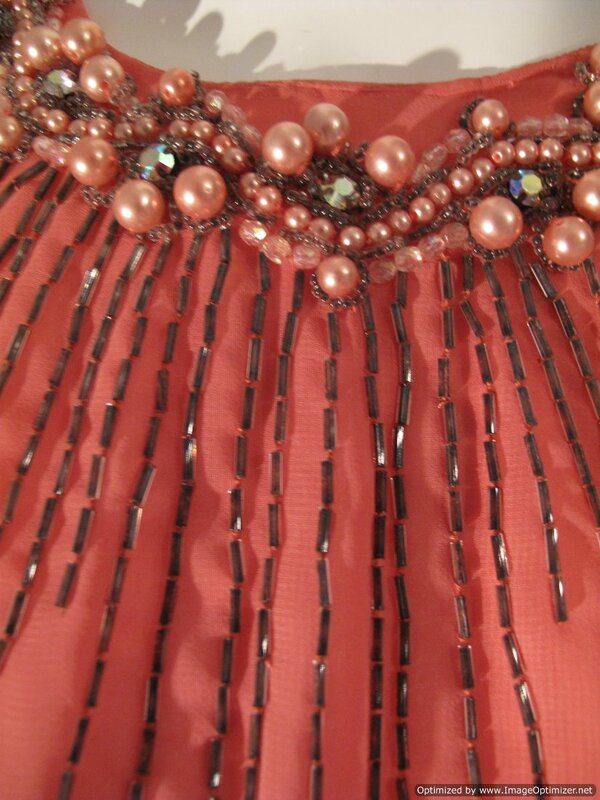 The piece is beaded at the cuffs and hem with graduating lines of amber bugle beads and has a scalloped edge design of large and small peach pearlised beads, bugles and aurora borealis crystals. 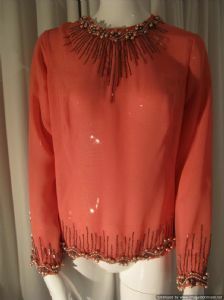 The neckline has the same design, but has bugles that graduate around to create a necklace design.